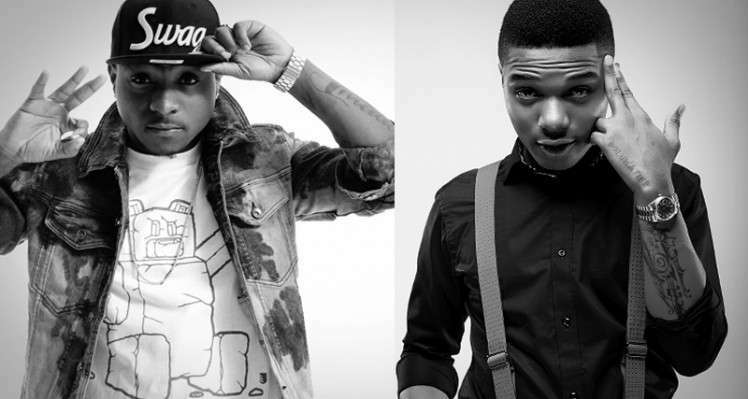 Davido and Wizkid are regarded as local competition for each other – Both have in the past thrown jabs at each other over what many has termed supremacy in the Nigerian music industry. 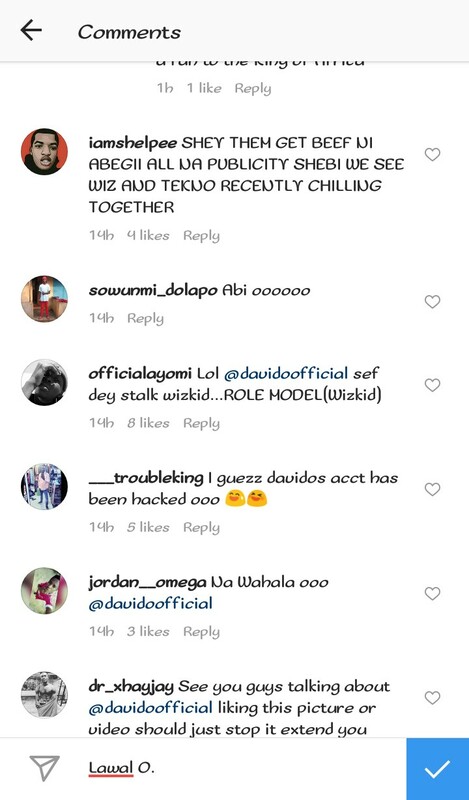 There was chaos free days all on Instagram after Davido liked a video of Wizkid! 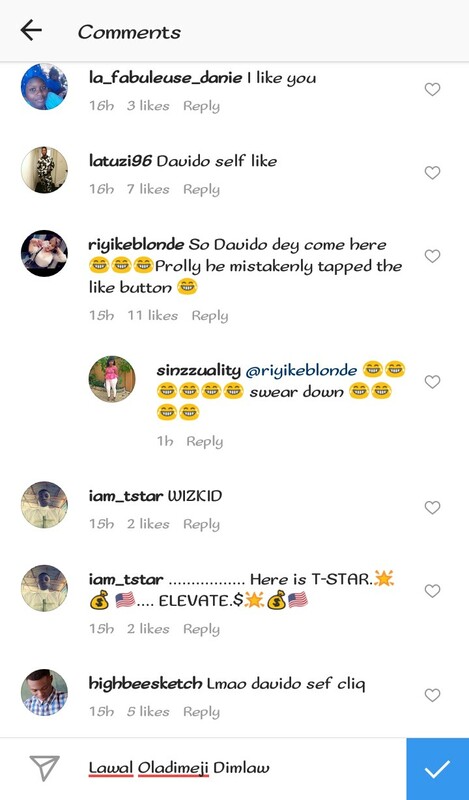 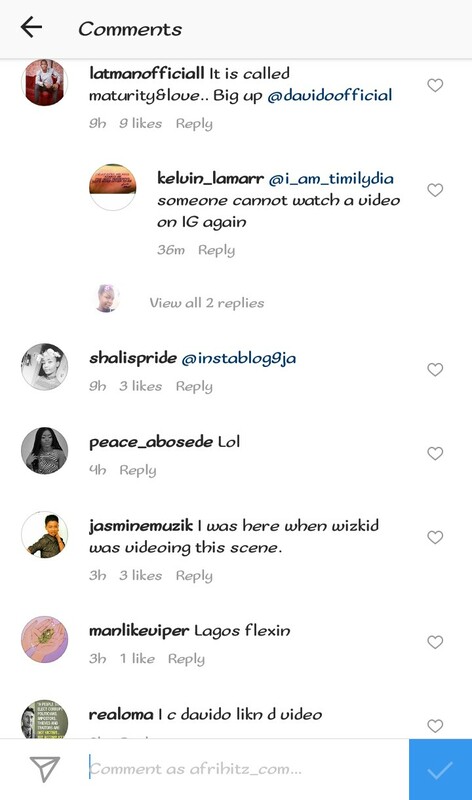 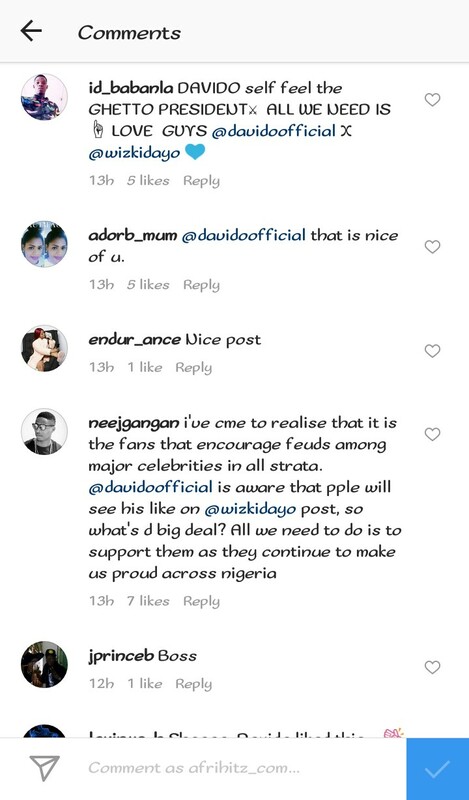 A popular Instagram handle “Wizkidnews” known for handling latest stories and accomplishments of Wizkid shared a video of him vibing for the camera, and Guess what? 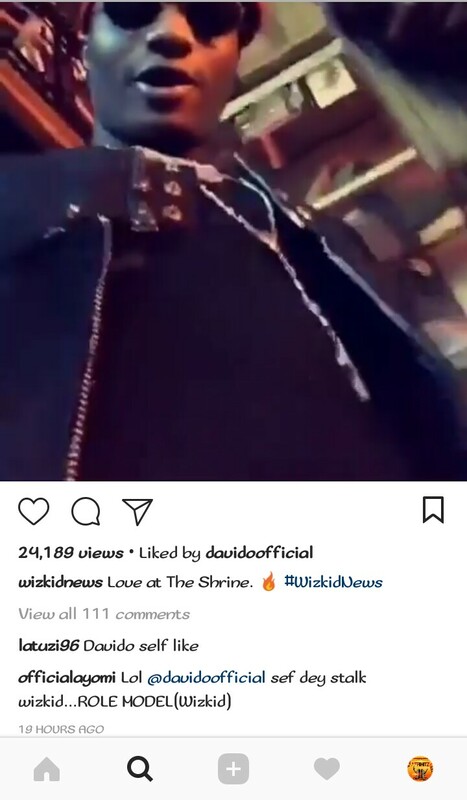 Davido dropped a like on it! An action that got many thinking whether their previous shading against themselves were some sought of hyping!